The constitution of the Dry Creek Association, Inc., states that a Board of Directors will govern the club. 1. The Board of Directors will consist of ten members – President, Vice-President, Secretary, Treasurer, Sergeant at Arms, and five Directors at Large. 2. Board officers will serve a one-year term. Directors at Large will serve a one-year staggered term with one director rotating off the board each year. 3. The Board of Directors will set dues and other necessary monetary assessments. 4. The Board of Directors will, with the advice of the DCA members, approve or disapprove membership applications. 5. All monetary disbursements will require the signature of the association president and the signature of the association treasurer. 6. The Board of Directors is required by the DCA constitution to set rules and govern the club. 7. The Board will act as the DCA club’s disciplinary body and will enforce association rules. 8. Before a member is eligible to hold the office of president, the member must serve at least one full year in another office of the DCA. 9. Election of the Board of Directors will be held each year the first Thursday night in August. 1. The Dry Creek Association, Inc., fiscal year will begin the 15th day of May each year. 2. Membership dues are to be paid by May 15 each year. If an individual has not paid dues in full by June 30, the individual is no longer recognized as a member of DCHA and is required to submit a new application to the Board of Directors for approval. 3. The immediate family members of any DCA member are automatically DCA members. Association members’ wife and children 15 years of age and under may hunt free. All members’ female children may hunt free. Association members’ male children, 16 up to 18 years of age, must pay $25 per year. 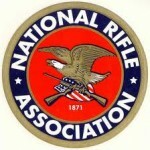 Association members 18 years of age and older, must pay the full $400 membership fee. 4. A DCHA member who drops out of the club must sit out for one full year unless the member can show the Board that he suffered a financial hardship. 5. Landowners will be given one full membership for every fifty acres that they put into the association, provided they agree to abide by the association’s rules and regulations. The membership(s) must go to the landowner or to a member of the landowner’s immediate family. Other immediate landowner’s family members may hunt only on the landowner’s property. Gullett Hollow Camp will be given one membership per every fifty acres put into the association. 6. If an active member of the Dry Creek Association, Inc., becomes disabled or reaches the age of 65, they will no longer be required to pay association dues and will keep all club privileges. 7. When a Dry Creek Association, Inc., member pays dues for the current hunting season, a contract is formed between the association member and the Dry Creek Association, Inc., with consideration existing for both parties. Therefore, membership dues may be reimbursed only if the Dry Creek Association, Inc., member dies prior to the beginning of the first hunting season of the year. A membership dues refund may be paid only to the deceased member’s immediate family. 1. Guest Policy – A full adult member ($400/yr) may bring a hunting guest three times each fiscal year. No guests are allowed on the opening day of any season, or during any part of the turkey hunting season. A guest under license age may harvest an anterless deer. Guests license age and older may only harvest legal antlered deer. ALL harvests of a guest will count against the host member’s bag limit(s) as established by DCHA. Junior members, college student members or adjunct members may not bring guests at any time. Any exceptions to this policy must be approved by a club officer. The two annual youth events are excluded from these guidelines. 2. Any DCA member may at any time organize trail rides – i.e. horse, four wheeler, wagon, etc. – as long as the DCA member is in charge of the ride and is accompanying the group. The DCA member will be responsible for keeping all animals and vehicles on primary roads and trails at all times. Also the DCA member will be responsible for the removal of all trash and litter the group brings onto association land. At no time will mud riding or any form or property destruction be allowed on association land. Club leadership must be notified prior to the organization of any trail rides. 3. Littering and garbage dumping on Dry Creek Association, Inc., land will not be tolerated. All members must help keep all association land clean and free of litter. 4. If a non-member is caught trespassing on association land, any DCA member may ask the non-member to leave. If the non-member refuses to leave, write down the trespasser’s tag number and the association’s Board of Directors will prosecute. No individual member should try forcefully to remove unwanted persons. 5. If dogs of non-members come onto association land, the owners will be allowed to retrieve the dogs. 6. Any unattended dog found on association land will be caught and the dog’s owner will be notified. Do not destroy any dog. 7. Landowners must approve all trapping on association land. Landowners must also approve the release of any wildlife on association land. 8. All association members are required to help fight fires on association land upon request. 9. Any member that displays a pattern of unruly behavior will have his membership revoked without monetary reimbursement. 10. Any member caught taking deer with the aid of a spotlight will have his membership revoked without monetary reimbursement. 11. DCHA Board and Officers may recommend a member vote to amend and/or remove any club rule, or establish new rules, at any regular scheduled club meeting throughout the calendar year. Any rule related to legal game may not be changed after the particular game hunting season has begun. Any rule related to non-game animals (nuisance) may take effect immediately at the time of vote. 12. The constitution of the Dry Creek Association, Inc., requires the club to maintain a balance of not less than $1,000.00 in the association’s bank account. However, if the need arises, this money can be used to pay on the lease of land. 13. All DCA members are important for the existence of the association and are expected to regularly attend and participate in club meetings, workdays, and special events. All members are expected to work together in harmony to further the good name of the Dry Creek Association, Inc., hunting club. DCHA will designate funds for feeder/supplemental food source plots not to exceed $200 per calendar year. Members who already have stands on existing plots, or who have areas where plots are planned for the purpose of hunting, must provided seed/fertilizer for establishing the food plot. DCHA will continue to establish late summer work dates to plant all feeder/supplemental food source plots, as well as assist members with planting plots for the purpose of hunting. 1. While hunting, DCA members must – 1) carry a Dry Creek Association membership card, and 2) display a Dry Creek Association decal on their vehicle; this includes all-terrain vehicles. Card-holding association member may, at any time, ask to see the membership card of any person on Dry Creek Association, Inc., Land. 2. All DCA members must abide by the MDWFP Rules & Regulations, except where DCHA may establish game regulations that exceed regulations set forth by MDWFP. IE: Doe Harvest. Scroll down the specific game sections of this page for more detail. 3. All DCA members must abide by leased land and landowner agreement rules and regulations. 4. Only portable tree stands and shoot houses are allowed on association leased land. Nails and spikes are not allowed as a means of securing tree stands. 5. All tree stands and shoot houses must have the association member’s name attached and in clear view. 6. Hunters must not park or hunt within a quarter mile of any dwelling house. 7. Drinking alcoholic beverages, while hunting on Dry Creek Association land, is strictly prohibited. 8. All DCA members must park in a reasonable manner as not to block roads. All motorized vehicles traveling on club land must have at least four wheels. Motorized vehicles may travel only on trails and roads. Please do not travel in such places that will destroy seedling pine or other property. 1. BUCK DEER: Whitetail buck deer may be harvested by following rules established by MDWFP Rules & Regulations. 2. DOE DEER: Each MEMBERSHIP is allowed one antlerless deer by any means as dictated by the given season up until December 23rd. This measure also applies to a member’s spouse and children under license age. From December 24th forward, no antlerless deer may be harvested. 3. Deer dogs may be allowed on DCHA property up to the opening day of the first archery season of the calendar year for the purpose of exercising/conditioning only. Use of deer dogs during any part of a deer still hunting season, or turkey season, is strictly prohibited. DCHA restricts the use of no more than one pack of running deer dogs on the property at any given time. Should the dog(s) leave DCHA property boundaries, any member who wishes to release additional dogs on DCHA property must contact the current running pack’s owner/handler for permission prior to release. 4. All deer harvest data must be reported to the MGFC. This includes weight and measurement of antlers for bucks and the weight of does and the presence or non-presence of milk. 5. Dog hunters need to be mindful and respectful of still hunters during open dog seasons. 1. Wild hogs may be taken by following MDWFP Nuisance Animals Rules & Regulations. 2. Use of dogs for the purpose of hog hunting is not permitted on DCHA property during any still-hunting deer or turkey season. Turkey may be harvested by following the MDWFP Rules & Regulations; with the exception, the Dry Creek Association, Inc., does not allow turkey to be harvested on association land during the fall season. No visitor permits are allowed during turkey season. 1. DCHA members must abide by the MDWFP Rules & Regulations while hunting small game. 2. DCHA members pursuing small game (rabbit, squirrel, bird, etc.) 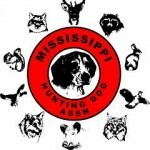 may use dogs during a legal small game season only for the purpose of pursuit of the specific small game.